Certina’s answer to the Rolex Submariner. 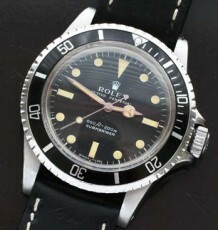 A wonderful vintage Dive watch with a stunning blue dial. 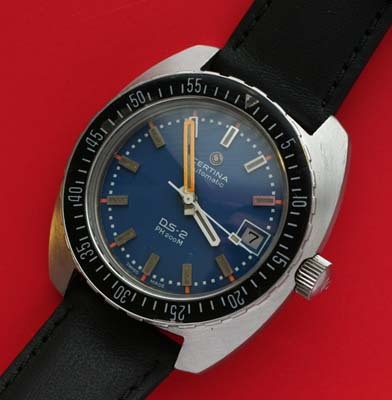 These Certina dive watches from the 1970’s are some of the most difficult to find in complete and original condition. 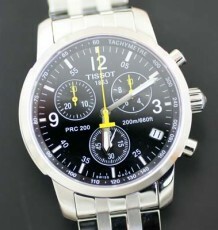 This was one model in a line up with the highly sought after 500M and 1000M models. This model was Certina’s answer to the Rolex Submariner with its 200 metre depth rating and heavy steel case and large screw-down crown. 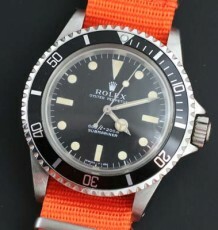 One advantage this model has over the Submariner is the more dramatic colour combination of the blue dial with orange and white hands. 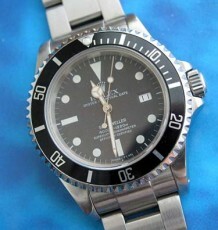 The steel bezel with acrylic insert is all original with very little evidence of wear. The case has been polished and the crystal replaced with an all new unit. The Certina 25-651 movement was just serviced and is performing flawlessly. The heavy steel case, which features the Certina Turtle embossed on the back, measures 40 mm wide by 43.5 mm long.